San Diego • The word of the year just past, the descriptive one Kyle Whittingham used more than any other to characterize his football team is … resilient. It’s normally a good, fitting word, one the coach wanted to unsheathe again and apply directly on Monday night, after Northwestern defeated Utah, 31-20, in the Holiday Bowl. He could not, though, not on this occasion, not specific to these exact circumstances. 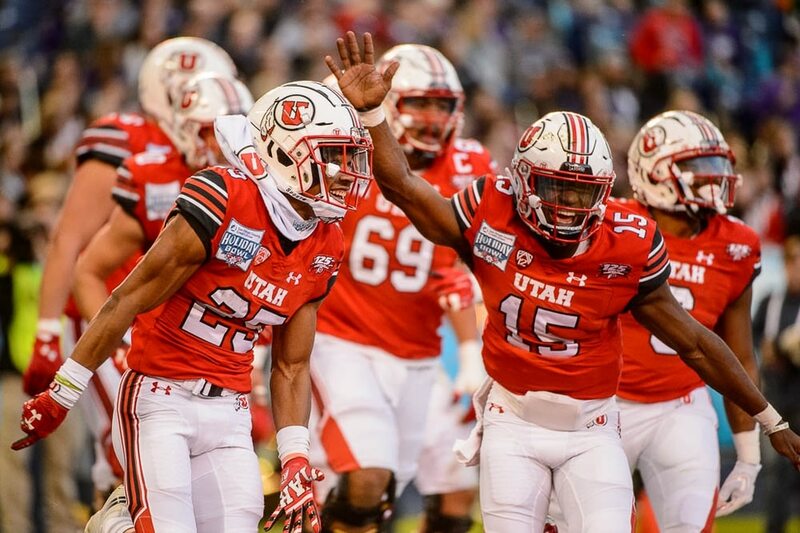 In a game that by its very structure and nature, a contest between two hardy-more-than-handsome teams that were built to require that first description out of whoever was going to win it, the Utes could not find a way to hold on, to power through, to be themselves. And then, things got ridiculous. The Utes crumbled in bewildering manner, while Northwestern slapped them for their lack of effort, lack of poise, lack of execution. Falling behind, 20-3, the Wildcats were the ones who embraced resiliency, facing and facing down a necessary reversal of a difficult flow. “You’ve got to respect a team that doesn’t give up,” Utah linebacker Cody Barton said of the victors. Turnovers gave that team a lift. The Wildcats started their dramatic comeback — and Utah commenced its collapse — early in the third quarter with a gift from the Utes, an intercepted pass from quarterback Jason Shelley that was turned into a Northwestern touchdown, set up on a subsequent 62-yard pass by QB Clayton Thorson that preceded a scoring throw seconds later, cutting the margin to 10. Next, with 6:40 left in the third, and Utah threatening with a first-and-goal at the Northwestern 6-yard line, Shelley fumbled the ball back to the 14, where it was picked up by Wildcats defender Jared McGee, who returned it the distance, 86 biggies, slicing the Utes’ lead to three. Then, Jaylen Dixon fumbled a completion, returned this time to the Utah 31, followed by a Northwestern touchdown pass, and the lead was the Wildcats’. It stayed in their possession. Turned out, the Utes could not win a game neither team wanted to be playing in. One more victory for either of them, and they would’ve been running for the Roses in the Arroyo Seco. Overcoming that disappointment, in itself, was burdensome. The Utes started with energy, but simply could not finish. They lacked composure and precision in that back half. It was a conflicted performance that was much more flat than it was flawless. As much as the Utes had previously earned that initial R-word, this time, they were neither resolved nor rock-steady. So, there was no reward. 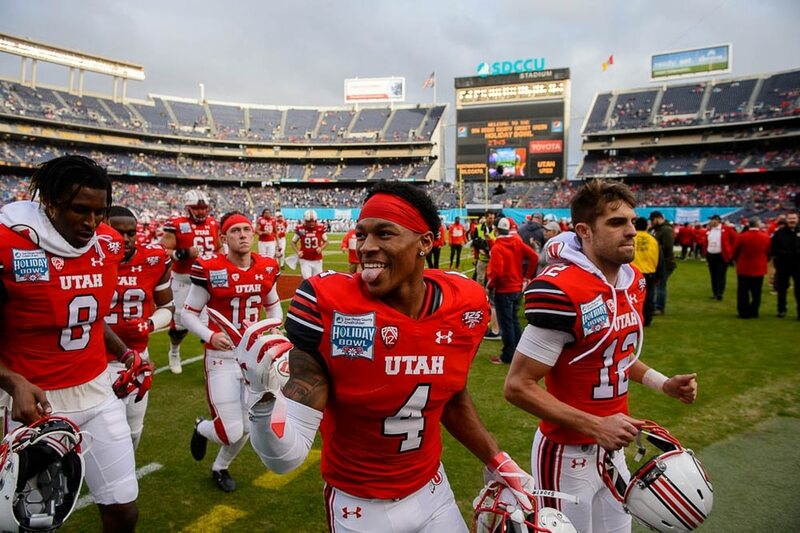 That was plain from the collective body language displayed by the 2018 Utes on the field at SDCCU Stadium as the final seconds slid off the clock. They hung their heads, embracing one another, in consolation rather than celebration, taking in a 9-5 season that would have turned out a whole lot better at 10-4. It was not the way to punctuate an otherwise standout season and year for these Utes. Not a step forward for whatever comes next for Utah football. The returning talent is sound and solid, but that promise will have to wait a while to emerge, what with the sting of defeat dominating this day. Between the Pac-12 title game and the Holiday Bowl, this postseason has been a major disappointment. The Utes were really good this year, and that’s what made its ending as indicting as it was promising. Despite the disappointment of not playing in Pasadena, there had been a festive importance to this Holiday Bowl, at least in the run-up, where a general kind of regrouping for the teams existed, and perhaps for the fans, too. Those who were on hand could sense and feel it. It certainly was better than the Heart of Dallas Bowl, the Foster Farms Bowl, the Maaco Bowl, the Poinsettia Bowl, the Humpty Dumpty Bowl, the Whatever Bowl, just about every bowl before and after the Fiesta and Sugar Bowls. There was more heft to it, more significance. 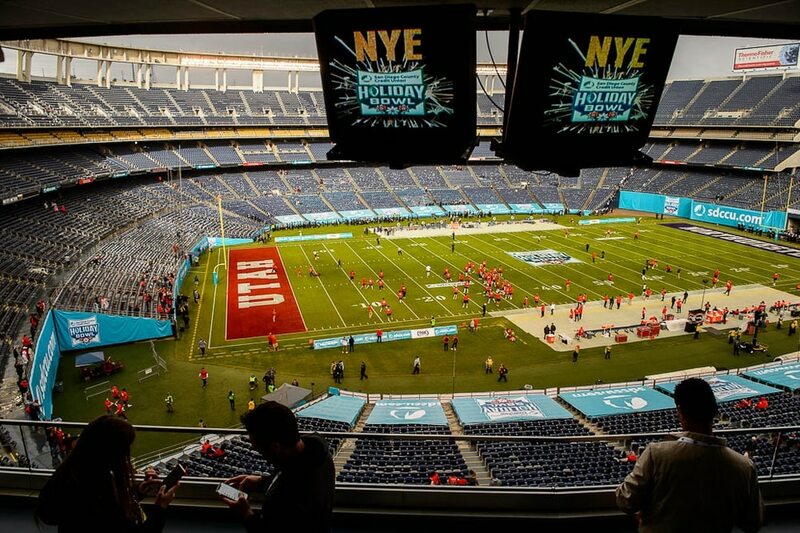 Over the past 40 years, since the Holiday Bowl’s inception, the game has grown in renown, if not prestige. It has lasted and preserved itself well. Playing the Western division champ from the Big Ten was a decent, worthwhile hurdle — and the Utes knew it. But that reality, that essence did not soak through into the action on the field. “We let the game get away from us,” Whittingham said.